There are 21 Assisted Living Facilities in the Aberdeen area, with 4 in Aberdeen and 17 nearby. To help you with your search, browse the 62 reviews below for assisted living facilities in Aberdeen. On average, consumers rate assisted living in Aberdeen 4.3 out of 5 stars. Better rated regions include Bel Air with an average rating of 4.4 out of 5 stars. Aberdeen, Maryland has a population of 16,000, 14.2 percent of whom are 65 and older. This sizable senior population can also access 29 local assisted living facilities with 4 in Aberdeen and 25 nearby, ranging from smaller homes to larger offerings for specific needs. Assisted living facilities in Maryland are regulated and licensed by the Office of Health Care Quality of the Maryland Department of Health. They must provide support and housing, health, supervision and other related services to residents who are unable to perform daily tasks on their own. There are three levels of care based on assistance needed. Level one is for residents with low care needs, while level two and three providers must cater to moderate care and high care needs respectively. Aberdeen’s climate is characterized by cool winters while summers are hot and humid. Average temperatures range between the 20s and 40s in winter months and the 60s to 80s in summer. High precipitation and rainfall levels are experienced in summers. Seniors are likely to enjoy seasonal weather with few extremes here. Aberdeen has a relatively higher cost of living at nearly 18 percent more than the national average, which can make life hard for seniors with limited budgets in their retirement years. The crime rate in Aberdeen is 22.23 per 1000 residents with most of the crime related to properties. The city is safer than 30 percent of other cities in the U.S., making it a safe haven for residents in assisted living facilities who want to enjoy a day trip in town. Aberdeen has a bus transport network within the city, but the number of people who use public transportation is lower than the national average by 36 percent. Aberdeen has an air quality index of 58, which is equal to the national average. This is relatively moderate, and there are no alarming pollution levels, so seniors may breathe easier here. Aberdeen has few facilities from which to choose in the event of a medical emergency or illness, with the nearest major hospital, Harford Memorial Hospital, located in Havre De Grace. Assisted Living costs in Aberdeen start around $0 per month on average, while the nationwide average cost of assisted living is $4,000 per month, according to the latest figures from Genworth’s Cost of Care Survey. It’s important to note that assisted living rates in Aberdeen and the surrounding suburbs can vary widely based on factors such as location, the level of care needed, apartment size and the types of amenities offered at each community. Private funds are usually accessed for the cost of assisted living facilities. 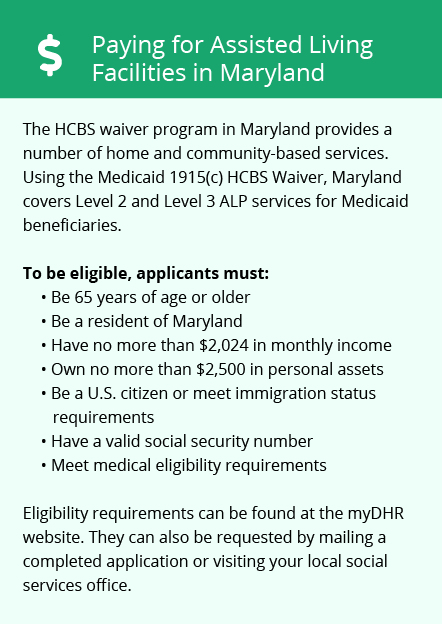 There is a program in Maryland, the Home and Community Based Options Waiver, that will help pay for services received while in assisted living. Senior Assisted Group Home Subsidy Program that utilizes government funds to assist eligible seniors who live is small facilities with four to 16 residents and cannot afford to pay for assisted living facilities. Aberdeen and the surrounding area are home to numerous government agencies and non-profit organizations offering help for seniors searching for or currently residing in an assisted living community. These organizations can also provide assistance in a number of other eldercare services such as geriatric care management, elder law advice, estate planning, finding home care and health and wellness programs. To see a list of free assisted living resources in Aberdeen, please visit our Assisted Living in Maryland page. 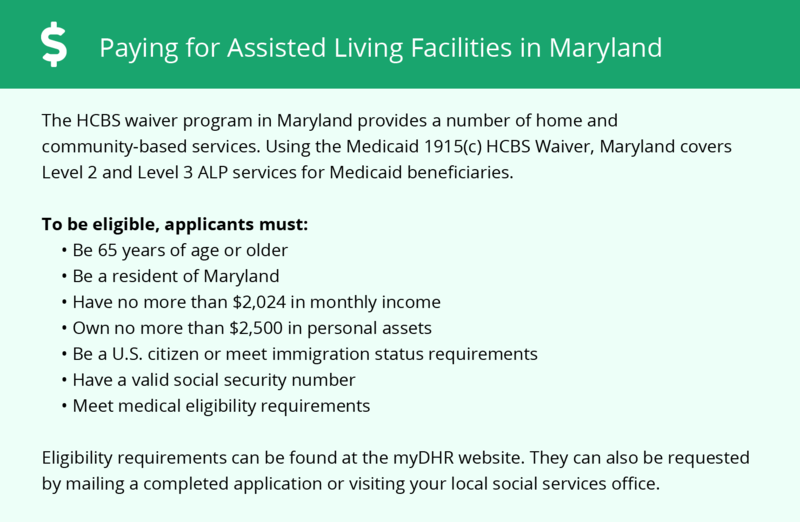 Aberdeen-area assisted living communities must adhere to the comprehensive set of state laws and regulations that all assisted living communities in Maryland are required to follow. Visit our Assisted Living in Maryland page for more information about these laws.